Delphine - Celebrate spring with a pastel blueberry creme packed with our signature shimmer blend. I love cremes, and especially those that have shimmer in them. RH does a great job of making what could be a bland creme and make it amazing. 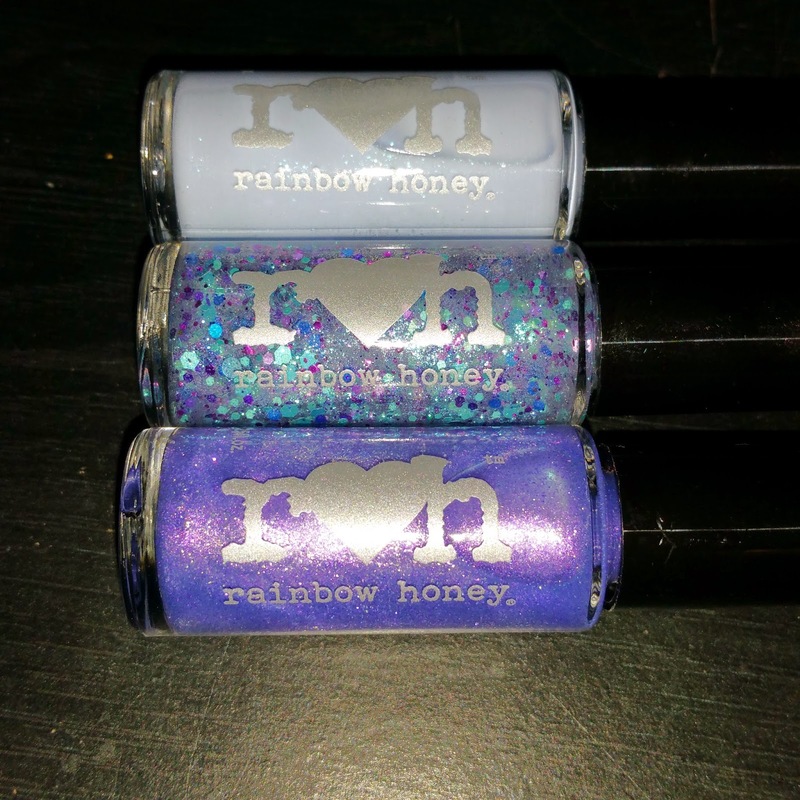 Thistle Tresses - Adorn your nails with this vivid blend of violet, blue, and teal glitters. I'm not a huge fan of 'piecey' glitters, but the colors in this one are amazing. 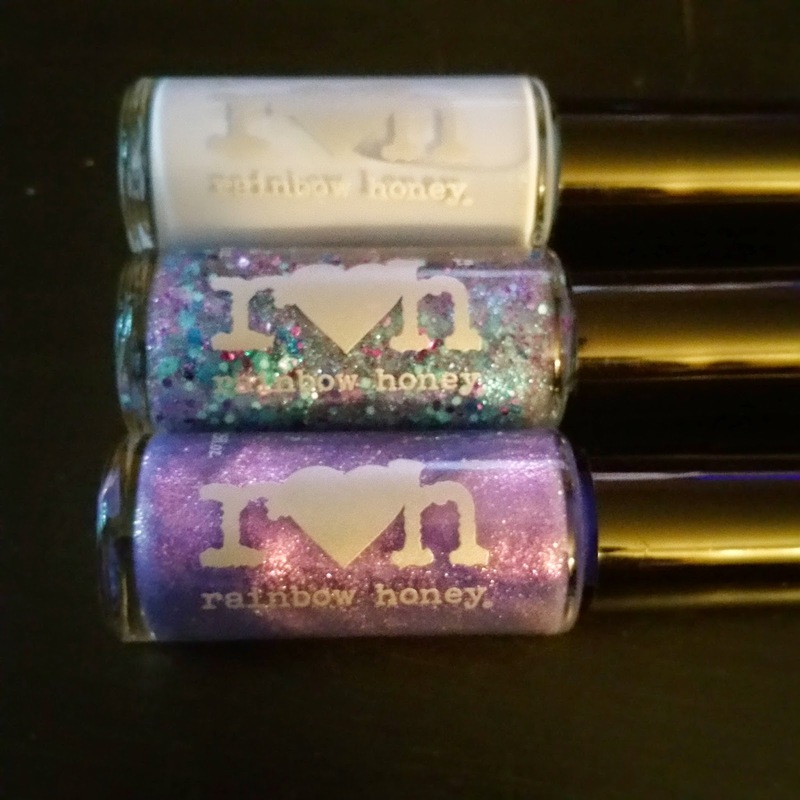 It's easily a great top coat or you could dab it on thicker to make your whole nail a glitter bomb! Eidolon - Explore your spiritual curiosity with this shimmery gold-purple that's out of this world! This reminds me of a Julep with the great shade of purple and the gold. It's gorgeous on and in the bottle! Sugar Lip Scrub (Melon Fizz) - I love RH's lip scrubs. I have a few different flavors stocked up from various orders. They work amazingly and so easy to exfoliate my lips while I'm doing other things. The Melon Fizz is amazing as well! Cuticle Oil (Pomelo) - I'm so bad about using cuticle products, but getting them in a bag always reminds me that I need to use them more regularly. It's citrus-y, which is perfect for summer! Nourishing Lip Balm (Melon Fizz) - Another Melon Fizz product and it makes your lips super smooth after using the lip scrub! 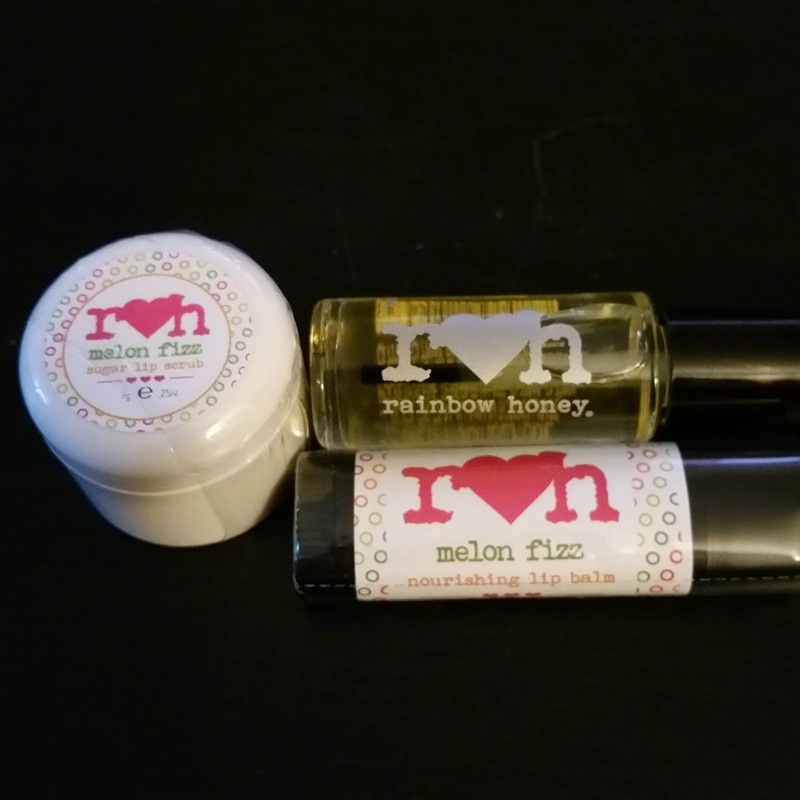 I love their lip balms and I am so glad they are frequently included in their bags! 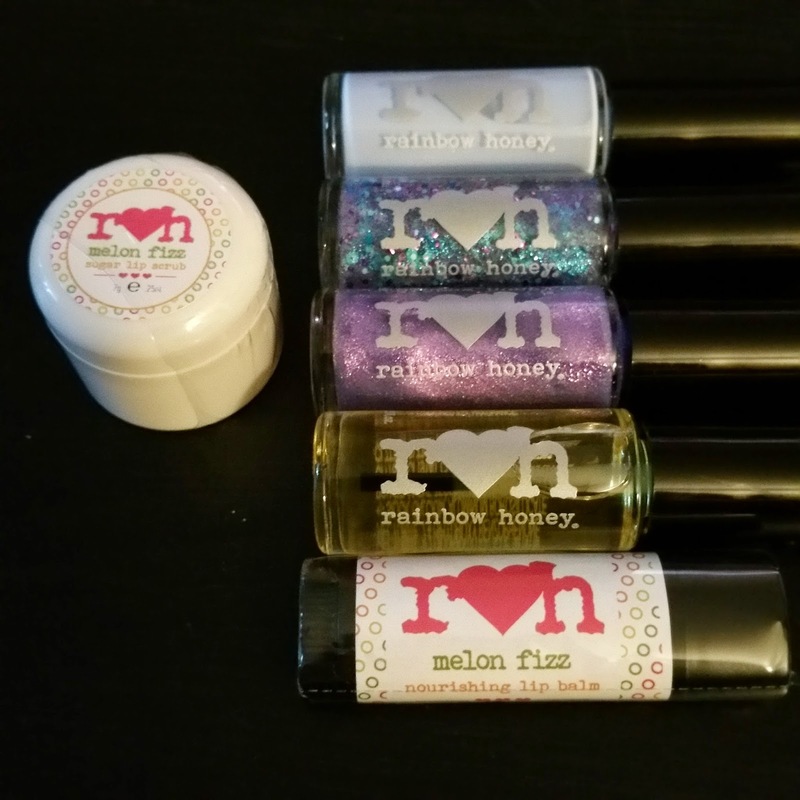 It was another stellar month for Rainbow Honey. While the nail colors aren't always my favorites, the products more than make up for it! If you got the mystery bag this month, let me know what you thought about it! If you grabbed the full-sized one, be sure to let me know of any differences! That sparkly blue color is gorgeous!